Business contingency planning is an important way to protect and prepare for possible outages, loss of data or other disaster that could seriously affect your business operations. A strong business contingency plan requires continual enhancement and modification to keep up with your ever-changing business and IT environment. While technology is a key enabler to successfully recover from any type of disaster, processes and procedures combined with skills transfer, documentation and preparedness training is equally important. A distaster can strike in the form of a simple hard drive failure that leads to data loss or corruption, theft or even natual disasters such as a fire, flooding and tornados. We have significant experience in assisting small and large companies with their business contingency plans. We have broad experience with many types of industries, many different potential disaster scenarios as well as many different technical operating environments and IT infrastructures. We can help any business with preparing for the worst, whether it be a simple plan outline or a complex step by step action plan with fail-over data centers and office relocation facilities. We also offer business impact assessments, facilities selection, failover and redundant technology solutions. In addition, we have considerable knowledge of developing procedures and documentation in assisting with emergency situations. We can also provide testing of current contingency and continuity plans of thier effectiveness. We cover the full infrastructure requirements of business contingency, from data storage, server replacements, facility recovery, email support, application restoration as well and all computer and network infrastructure hardware. Since no two businesses are the same we do not try to provide an 'off the shelf' solution although we do have developed a system of standardized planning outlines that speeds up the creation of a custom taylored business contingency or continuity plan. We believe our success is becuase of the individual approach we take with each of our clients. This means listening and understanding your unique business contingency requirements. Our experts are available to help you to decide on the most appropriate business continuity services for your business. 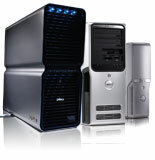 We also provide data backup services that also help your business be prepared for any kind of data loss or corruption. Either way we have a solution that can help your business be prepared for the unexpected disaster. Please contact us to explore the broad range of business contingency, continuity planning and disaster recovery solutions we can offer to your organization. Our team of technology consultants will cut through any confusion with a FREE Contingency Planning Assessment and provide you with specific recommendations and plan outlines. Metroplex Tech can create a contingency strategy that is within your budget to protect your business and provide you with peace of mind.